Becoming a volunteer is a huge commitment, both in time and energy. But the rewards are great too – hands-on training, community involvement, station camaraderie and if you’re looking to become a full-time firefighter, you can’t beat the experience. 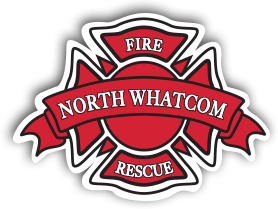 North Whatcom Fire and Rescue is not accepting volunteer applications at this time. To request documents that are subject to public disclosure, please complete a Request for Public Records. For questions regarding public disclosure, please contact our administration office at (360) 318-9933. How do I request a ride a long? To request a ride a long , please review the Ride Along Program . 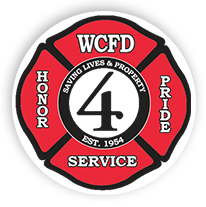 Once reviewed, please complete a Ride a Long Request and submit it to the training division (kjorgensen@nwfrs.com) for consideration. Do you have a Notice of Privacy Practices? Yes, provided here is the North Whatcom Fire and Rescue Notice of Privacy Practices. How do I make a complaint or inform the fire district of a hazard? We welcome your feedback! Please print and complete a Citizen Comment Form and mail or deliver to our office. Can I have a fire on my property? Can I reserve a community room at a fire station? Most NWFR fire stations have a community room that is available for public use. A fee and cleaning deposit are generally charged, but sometimes the fee may be waived. Please read our Facility Use Agreement and Rules. For more information or to schedule a community room, please contact our administration office at (360) 318-9933. Do you provide fire station tours? We are happy to provide fire station tours. Sit in the driver’s seat of the engine, explore the inside of an ambulance, and meet a real-life firefighter. To schedule your tour, please call Captain Mike Schmidt at (360) 318-9933. How do I set-up a key box at my location? How do I apply for a fireworks stand or display permit? To request a permit for a stand or display inside the City of Blaine, contact the City of Blaine at (360) 332-8311. Outside the city, contact the Whatcom County Fire Marshal’s Office at (360) 380-8100. Where do I get a reflective house marker? Can your home be located in an emergency? Especially in rural areas, reflective markers can help emergency responders locate you. Click here for more information.